Twenty-year-old American gymnast Shawn Johnson is a four-time Olympic gold and silver medalist; a national- and world-champion athlete. 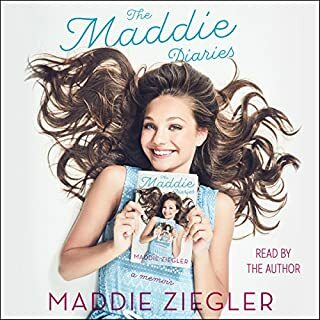 Already a popular role model to all ages, in 2009 she captured the national spotlight again when she won on the widely popular Dancing with the Stars. Yet Shawn is no stranger to hard work and adversity. When she retired at age 19, Shannon Miller did so as one of the most recognizable gymnasts in the country. 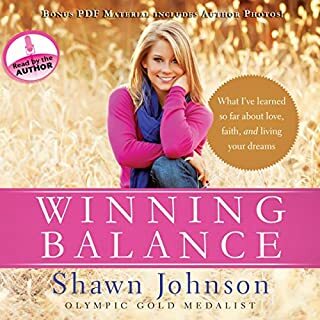 The winner of seven Olympic medals and the most decorated gymnast, male or female, in US history, Shannon tells a story of surviving and thriving. A shy, rambunctious girl raised in Oklahoma, Shannon fell in love with gymnastics at a young age and fought her way to the top. She lost her arm in a shark attack and nearly died, but she never lost her faith. Now a major motion picture, Soul Surfer is the moving story of Bethany Hamilton’s triumphant return to competitive surfing and has continued to be a beacon of inspiration to all who hear it. They say Bethany Hamilton has saltwater in her veins. How else could one explain the passion that drives her to surf? Or that nothing - not even the loss of her arm - could come between her and the waves? It was the team finals of women's gymnastics in the 2012 Olympics, and McKayla Maroney was on top of her game. The 16-year-old US gymnast was performing arguably the best vault of all time, launching herself unimaginably high into the air and sticking a flawless landing. When her score came, many were baffled: 16.233. Three-tenths of a point stood between her and a perfect score. If that vault wasn't perfection, what was? Miss Val has shaped her UCLA gymnastics program as a life-skills class, and now she's sharing those lessons with you, whether you're an athlete, business leader, or simply someone who wants to own his or her destiny. Miss Val's philosophies are timeless. Her coaching style is unorthodox. Life Is Short, Don't Wait to Dance is a thought-provoking, fun journey through the personal stories and anecdotes of the 35-year career of a dancer/choreographer turned athletic coach. At the 2012 London Olympics, Aly Raisman captured more gymnastics medals than any other American woman. In all, the athlete earned two gold medals and one bronze medal. Aly's impressive accomplishment turned her into an overnight celebrity, leading to several endorsement offers and a high-profile stint on ABC's Dancing with the Stars. 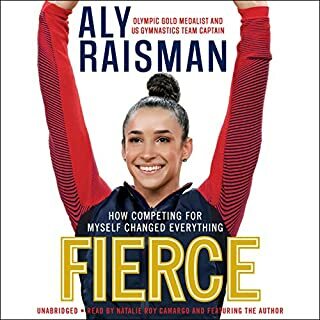 A children's biography, Aly Raisman: Born to Tumble will enrapture listeners longing to learn more about the hardworking gymnast who rose to become the captain of the Fierce Five. 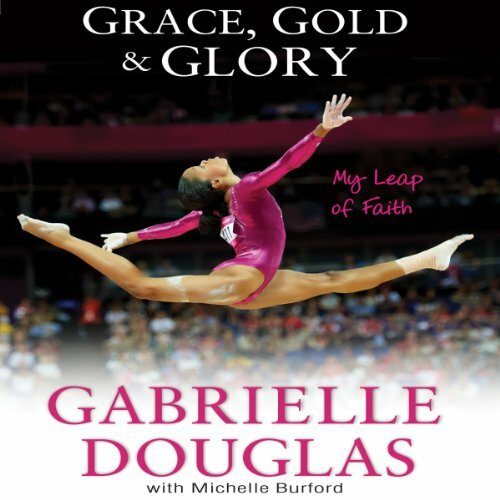 The inspiring autobiography from Gabrielle Douglas - the first African American gymnast in Olympic history to become the individual all-around champion - revealing her journey from the time she first entered a gym to her gold-medal-winning performances. In the 2012 London Olympics, US gymnast Gabrielle Douglas stole hearts and flew high as the all-around gold medal winner and the brightest star of the US gold-medal-winning women’s gymnastics team. That same year, Gabrielle was also named the 2012 Sportswoman of the Year by the Women's Sports Foundation. In this personal autobiography, Grace, Gold, and Glory: My Leap of Faith, Gabrielle tells her story of faith, perseverance, and determination. 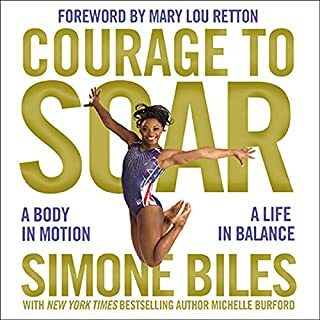 Walk with Gabby Douglas through her journey of faith and what her family overcame, from the time she first entered a gymnasium to her gold-medal-winning performances, demonstrating to listeners ages 13 and up that they can reach their dreams when they let themselves soar. 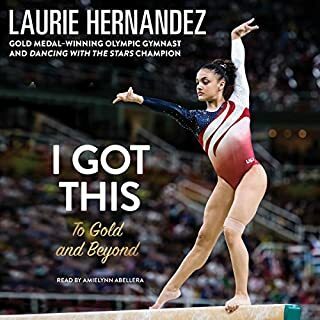 Celebrates Gabrielle as the first African American gymnast in Olympic history to become the individual all-around champion, and the first American gymnast to win gold in both the individual all-around and team competitions at the same Olympics.